If you are big and beautiful or looking for someone who fits that description, BBPeopleMeet.com is the site for you. It provides plus-size singles and their appreciators with a welcoming community for chatting casually, building supportive friendships and finding great dates with fellow big and beautiful singles. BBPeople have the advantage of a refined dating search in which they are sure to find accepting people seeking connections with full-figured singles. This established site is part of the Match.com network and boasts 10,000 daily visitors, so it offers one of the most thriving online communities for plus-size daters. BBPeopleMeet.com provides multiple tools that let you share your personality in your own words and get to know others from afar, including audio and video uploads. 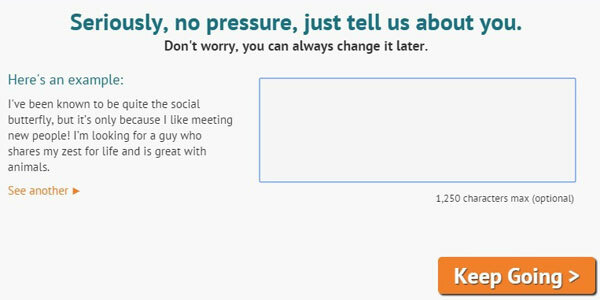 With a free membership, you can use the Flirt option to show your interest in others, although you cannot see who is flirting with you until you upgrade. In terms of communication, the website covers all your bases with live chatting and email messaging. The site provides a real-time update on singles who are available to chat now, so you can explore the dating pool in a fun, laid-back way. Customize your profile as much as possible to attract compatible matches, as members may view you as inactive or uninterested in a serious search if you don't include photos and content. The sign-up process immediately launches you into creating a profile and uploading a photo, but you have the option to upload information directly from Facebook. The sign-up prompt only takes about 2 to 5 minutes, and the tutorial provides samples of short descriptions to help you decide what to write about yourself. Even if your profile is empty, the site lists initial matches that you can quickly browse and mark as interested or uninterested to start refining your search. 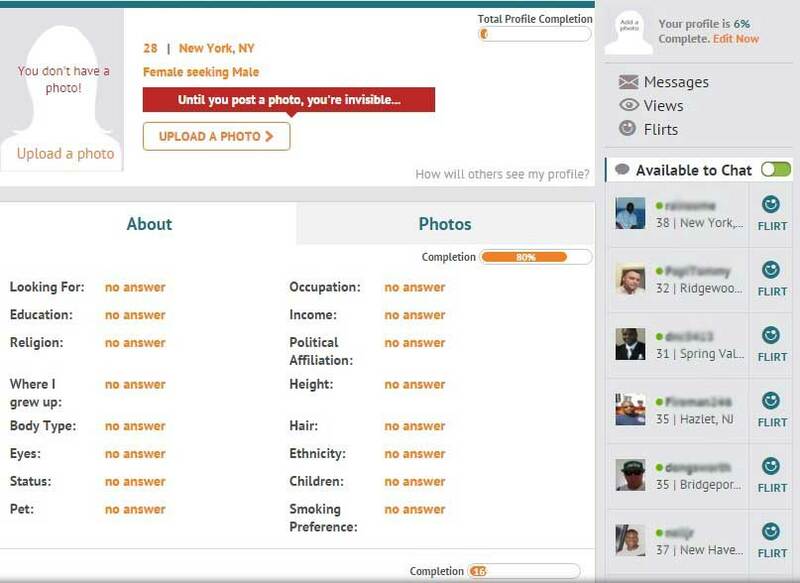 The profile focuses on standard questions about interests and preference. 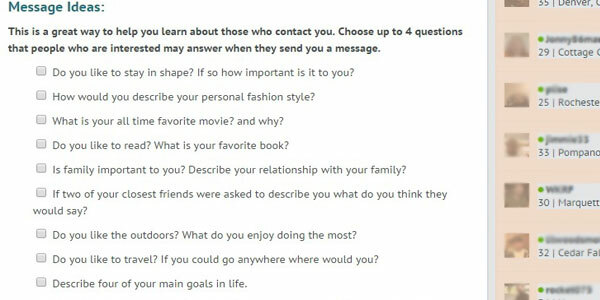 One useful section is Message Ideas, which lets you select specific questions that interested singles should consider answering when they contact you. Searching, browsing and flirting are available with a free membership, but you need a paid plan to chat, enjoy mobile access, view member videos, read and send messages, and find out who's flirting with you. A one-month membership is $14.99, while a standard six-month membership costs $35.76 upfront, amounting to $5.96 per month. The six-month value plan costs $42 upfront, or $ 7 monthly, and it lets you receive notifications when someone opens your messages. Compared to the standard plan, this price difference for this premium option is minimal, making it worthwhile for people who want to make prompt responses to their favorite singles. The BBPeopleMeet search makes finding potential contacts easy for beginners by providing daily matches and occasionally prompting you to check out specific profiles. When actively searching, you can choose from a variety of advanced filtering options, such as username, religion, zodiac, smoking, height and children. The search also offers several practical categories, including distance from your location, the availability of photos and the types of relationships others are looking for. A great tips for users wanting to save time and cut down on mismatched profiles is to use the keyword search. You can even narrow the results to people who viewed your profile or screen for new members if the search is starting to feel stagnant. To put it simply, BBPeopleMeet.com does the job for which it was intended: it gives BBPeople an exclusive community to find acceptance and make casual or romantic connections. However, if BBPeopleMeet.com isn’t the right dating site for you, read our review of Zoosk.com for another great online dating option. As with any dating site, be prepared to put in the effort to get past casual members if you want to make a lasting connection, but BBPeopleMeet.com proves great tools and features are incredibly user-friendly, and membership pricing is comparable to or lower than the majority of popular dating sites. It’s a dating site worth checking out.